Alexander Müller made a very entertaining run to the final of the Hannover 2017 Fight Night. Check out this video of all the top moments featuring Alex vs Luke Burrage, Markus Utke and Jochen Pfeiffer. This is Alex's best result at a Fight Night since Karlsruhe 2015. He scored wins over two top five ranked players before losing to the current number one player. Jochen takes his current winning streak to 24 matches and six tournaments. His rankings points from the Prestige 300 tournament in Hannover also brings his current rankings points total to 3050, the highest ever total of points in rankings history, and the first time any player has accumulated over 3000 points in 52 weeks. 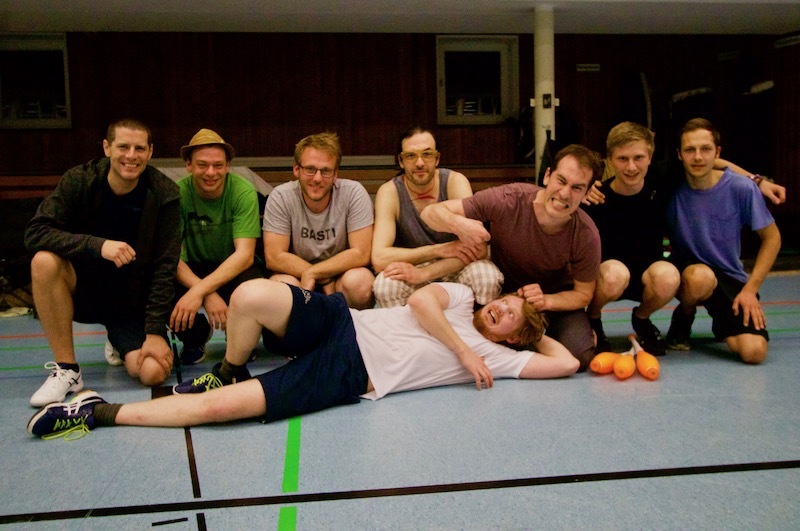 16 jugglers took part in the tournament, with eight in the knockout. Despite it being a small tournament, it had the 10th highest ever participation level, which is a rating based on the rankings and numbers of players taking part.